I would like to take this opportunity to thank Harry Reid for providing conservatives with the joy of seeing a Supreme Court stacked with constitutionalists for the next generation. You see, if it wasn’t for the arrogance of the power-hungry Sen. Reid, Donald Trump’s nominees would need 60 votes to be confirmed to the high court. 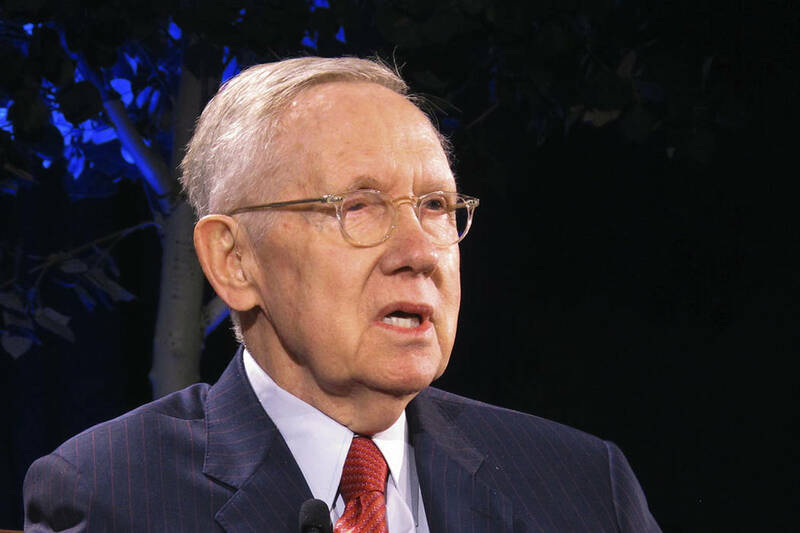 But Sen. Reid knew better, and his cutthroat actions were cheered on by the left, which characterized his machinations as sheer legislative genius. They aren’t cheering now — they are diving headlong into the land of dementia. They have come to realize that not only has very little of the “hope and change” proffered by Barack Obama survived the political process, but that this nation will have a conservative court for the foreseeable future. Reality has set in, the glamour of the incompetent hip-hop president and his sidekick Sen. Reid are fading into oblivion, and the United States is returning to the glory of a free-market nation. And the Democratic Party is devolving into obscurity as it clings to the sinking ship of socialism. Good riddance.